Our patients have taught me to seize each day because each day is precious. “What I enjoy most is being with patients and working with clinicians who go out of their way for their patients,” says Dr. Jeffery Choh, Director of Interventional Radiology at Cancer Treatment Centers of America ® (CTCA), Chicago. Dr. Choh earned a medical degree at The Ohio State University in Columbus. He completed an internship in surgery and medicine at Resurrection Medical Center and Foster McGaw Hospital of Loyola University, both in Chicago. He then completed a diagnostic radiology residency at Michael Reese/Mercy Hospital and the University of Illinois at Chicago, serving as Chief Resident. He completed his training with a vascular and interventional radiology fellowship at The Cleveland Clinic Foundation. Prior to studying medicine, Dr. Choh completed a bachelor’s degree in mathematics at The Ohio State University. 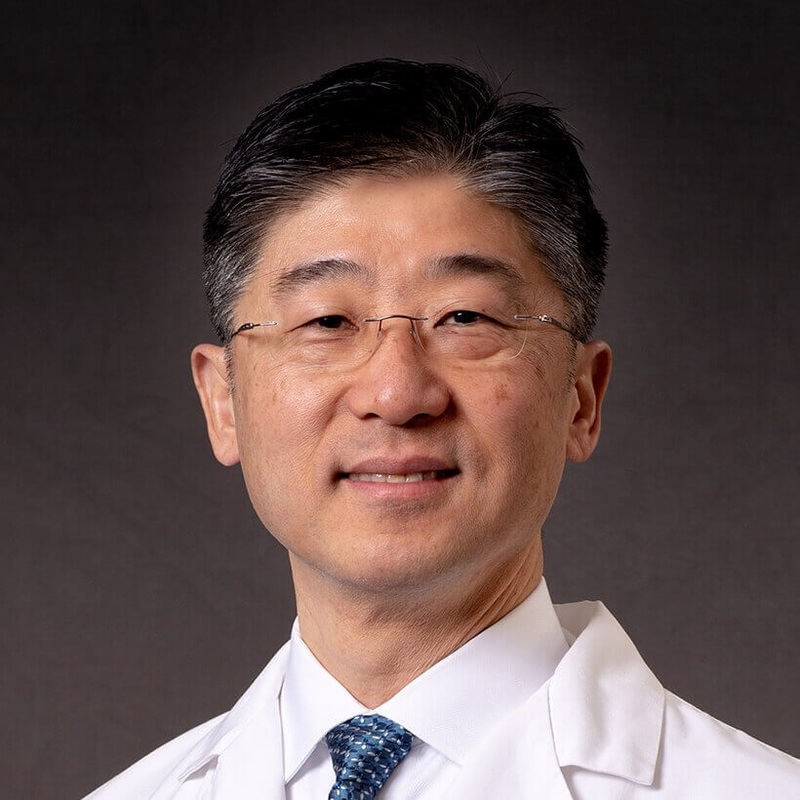 Before Dr. Choh joined CTCA® in 2006, he held several clinical appointments in vascular and interventional radiology at large medical centers in Illinois. Dr. Choh is board certified in vascular and interventional radiology, as well as diagnostic radiology by the American Board of Radiology. He is a member of the American College of Radiology, Radiological Society of North America, American Roentgen Ray Society, Chicago Radiological Society and the Tau Beta Pi Engineering Society. Dr. Choh has published book chapters and journal articles, and presented research at professional meetings. At CTCA, Dr. Choh provides imaging and interventional radiology services, which include minimally invasive techniques. He uses some of the latest interventional radiology technologies, including transarterial treatment with yttrium-90 radiation microspheres and ablative therapy using irreversible electroporation and microwave technology. Outside of CTCA, Dr. Choh enjoys involvement with his local church, including mission trips to under-resourced countries.